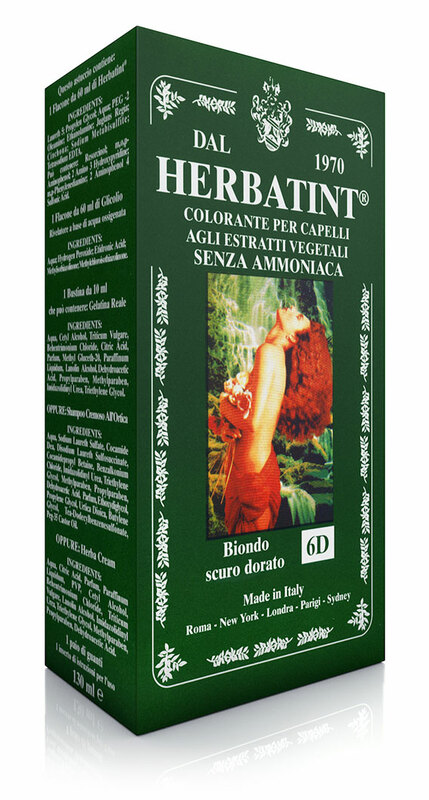 HERBATINT, the main brand of Antica Erboristeria, was founded in 1970 following a brilliant intuition of its founder, the herbalist Michele Albergo, who focused his research on a colouring formula that could combine product efficacy with hair and skin health. Thanks to his outstanding knowledge of medicinal herbs, starting from formulations based on herbal extracts, he progressively reduced the percentage of chemical ingredients, including hydrogen peroxide. Michele Albergo, strongly influenced by the Swiss herbalist with whom he had carried out his apprenticeship when he was young, applied in the production of Herbatint all the formulas and knowledge gained until then which had been passed down from generation to generation. 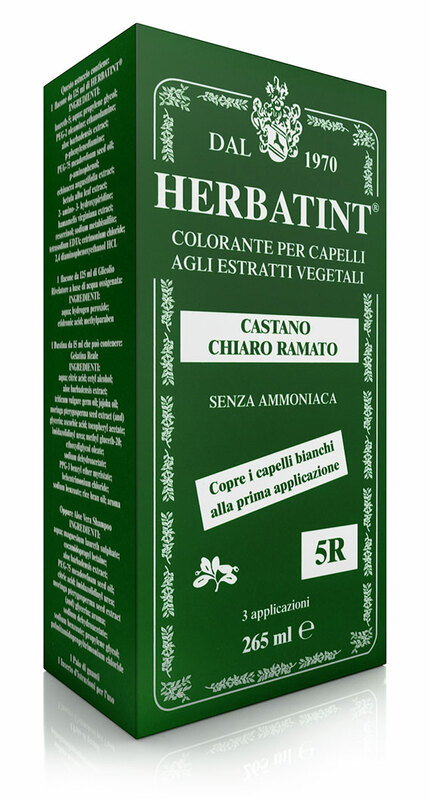 Thus, in a sector dominated by large multinational companies producing ammonia-based hair colouring, aimed only at product performance, Antica Erboristeria introduced a totally innovative formula: a permanent hair colouring containing herbal extracts without the use of ammonia and with a very low percentage of hydrogen peroxide. Passion and knowledge of herbal properties were fused together to find the most natural alternative to traditional ‘chemical’ colourings. 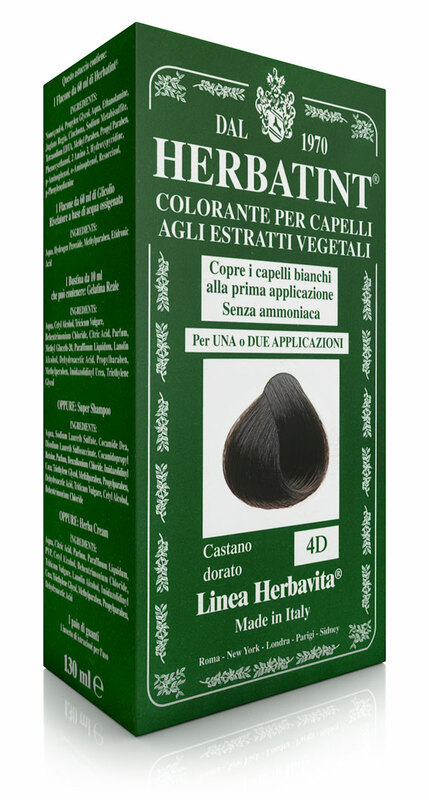 Due to its perfect coverage of grey hair since the first application and the wide selection of colours in accordance with hair structure, Herbatint is still today, after over 40 years, the undisputed market leader of permanent colouring without ammonia. Antica Erboristeria manages the entire chain production (research, production and marketing) applying a strict control at every level of industrialization, thanks to the expertise it has gained over the years and the recognized quality of its formula. Today Herbatint is known and purchased by millions of consumers in over 40 countries. The Herbatint formula, containing 8 biological herbal extracts, is successfully tested on sensitive skin: this result confirms the high quality of the historic brand and, once again, legitimizes its positioning as the ‘most natural alternative’ among its competitors. The packaging is renewed to target a wider and younger audience who is looking for natural products and who is increasingly attentive and demanding about issues related to health and the environment: a rapidly growing global trend. The elimination of resorcinol and parabens, as well as the addition of new herbal extracts are a new breakthrough for Herbatint formulation. The major change is emphasized by the evolution of the packaging that adopts a "woman face" with clearly visible hair that appears in various colour tones. This becomes the new image of Herbatint worldwide. 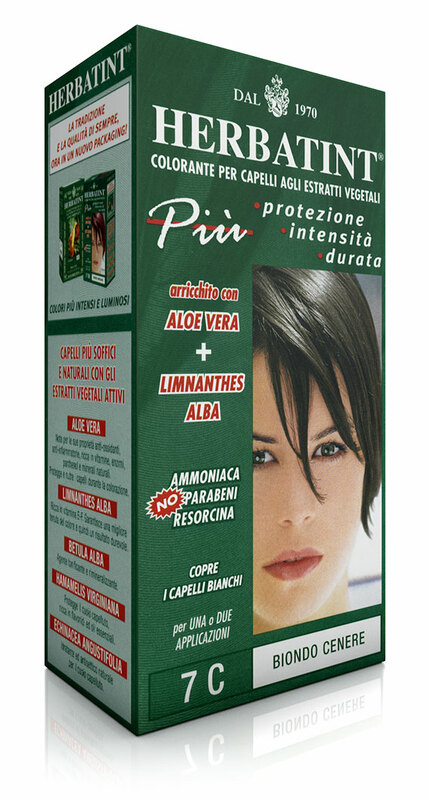 Packaging of the product for the Italian market changes: the red headed woman standing by a waterfall becomes the brand’s new image. 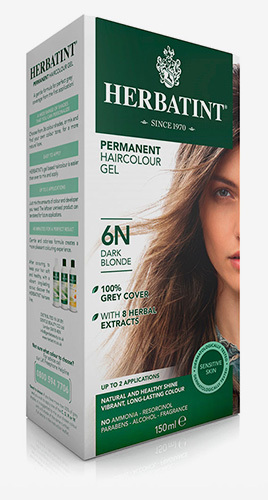 The traditional "green pack" displays a lock of hair that intuitively refers to the shade of the product. The graphic evolution facilitates consumers, even the less experienced ones, in choosing their colour. Herbatint is launched on the Italian market. Soon the line of permanent colour is accompanied by haircare products based on herbal extracts such as the Royal Cream, a regenerating conditioner, and an array of shampoos, which become essential complements to protect, revitalize and nourish coloured or stressed hair.